The key to any successful ecommerce business is a standout marketing strategy. Nowadays, there are so many different channels out there that it can be difficult to sift through which ones might be best suited for your shop. That’s why today, we are going to be covering email marketing in detail. If you’ve clicked this article it’s probably because you’re asking yourself, “What is email marketing?” On the other hand, perhaps you already know what it is but are wondering the advantages of using the email marketing channel. Maybe you simply want to gain some useful email marketing tips to help boost your existing campaign. No matter which stage you are in with regard to email marketing, this channel can do wonders in boosting sales and increasing traffic to your site. This handy guide is filled with email marketing tools that will help you achieve your desired results. Before digging deeper into ecommerce email marketing strategy, however, let’s explore what exactly it is and how it works. Then we’ll run through a list of fundamental steps to take before, during, and after you launch your campaign in order to achieve maximum results. Let’s begin! Email marketing can take many forms, but at its most basic, it consists of sending content directly to your customers’ and potential customers’ inboxes with the aim of increasing sales. Typically, your email list is going to be made up of people who visited your site and provided you with their email addresses. This can happen because they opted to sign up for your newsletter or entered it when making a purchase at your store. There are myriad ways to grow your email list and even more types of emails you can incorporate into your campaign. You can easily manage your email list and coordinate your campaigns through systems through an email provider. They provide quality templates and make it easy to keep track of multiple email initiatives at once. If you’re wondering why ecommerce entrepreneurs choose to incorporate email into their marketing campaigns, consider this. The ROI you can gain through email marketing is huge. For every $1 spent on email marketing, businesses obtain a return of ~ $44. So far in 2017, the median ROI for email marketing is 122%, which is four times higher than other common marketing channels including social media and adwords. This is largely because once someone gives you their email address, they have already self-selected based on their interest in your products and your brand. Therefore, it’s a wise decision to start implementing email marketing into your business plan if you haven’t done so already. Now, let’s explore the necessary steps for getting started with your email marketing campaign. Tracking your email bounce rate: This is one of the most important metrics you need to monitor to ensure you maintain a good reputation. Bounce rates are dependent on the quality of your mailing list. Old and invalid emails that bounce should not be used anymore. 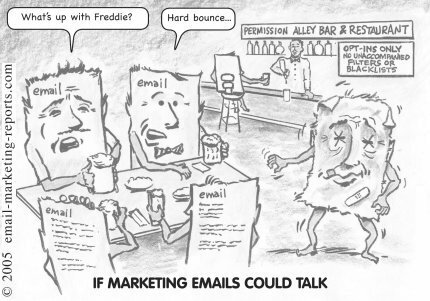 Your email marketing service provider will help you to identify these faulty emails and maintain a lower bounce rate. Email deliverability: An email service provider has a greater deliverability rate in comparison to emails sent personally, which is yet another reason why your email campaigns will be more successful if you sign up to one. Mobile readiness: In 2016, 55% of all emails were opened on mobile devices, so a responsive, mobile friendly email format is crucial for your email marketing campaigns. Using responsive email templates that adapt to the subscriber’s screen size will ensure that your subscribers will see exactly what you want them to see. When you’re looking for email marketing tools for your business, pay attention to the usability, interactivity, and formatting the email service providers are able to offer in their email templates. Comprehensive sales reports of email campaigns: Any email service provider worth using will present important analytics on your account dashboard, including comprehensive sales reports. They make this information manageable and easily accessible. As with all marketing channels, it’s key to make data driven decisions as you design your strategies. Usually, email service providers offer free trials. This way, you have nothing to lose as you experiment with different platforms. Take advantage of this, as it’ll help you gain a better understanding of how email marketing works for businesses. Free domain email addresses such as Gmail, Yahoo, AOL, Hotmail are designed for personal use and not for commercial purposes. Email marketing campaigns that are based out of these addresses will not pass DMARC policy authentication, and many of them will never reach their final destinations. You can find more information about DMARC policy here. However you end up designing your email marketing strategy, it’ll be most effective if you have a healthy list of contacts. In fact, this part is crucial for your email marketing campaign. By “healthy,” I mean that your contacts are familiar with your store, they have opted into your email marketing list recently (in the last 6 months), and they’re still engaged with your brand. This is important for the sake of securing better open, click-through, and conversion rates on your campaigns. Having a quality email list will also keep your bounce rate low and ensure that you don’t earn a negative “spammer” reputation. Running your email list through an email verification tool helps ensure that your emails are reaching the intended targets. Regarding spam, if your contact list consists of people who have subscribed to your newsletter, there’s nothing you need to worry about. Your subscribers have confirmed that they want to receive your emails, and that’s definitely not spam. If they do not want to receive your emails anymore, they can always unsubscribe. Email services make managing email lists much easier than attempting to do so on your own. Updating your subscriber list is an endless task. It will continuously include some stale addresses because people tend to switch their emails often for myriad reasons including changes in jobs and family names. They might also simply lose interest after a few months of being subscribed. Always remember that a smaller email list of quality addresses is better than a large one with a high bounce rate. In fact, even Hubspot deleted 250K subscribers from their own email list for the sake of better deliverability rates. Now that we’ve covered the basics, this section of the email marketing guide is full of actionable email marketing tips about things like email frequency, subject lines, visuals, and interactive designs affect your campaigns. This information will help take your email marketing strategy to the next level. Before launching your email marketing campaign, consider the frequency with which you’d like to be communicating with your customers. They already receive transactional emails from you, so you have to carefully plan your future attempts to contact them. Approaching your customers with no strategy at all can really end up being counterproductive as some customers receive too many emails and others find emails from you to be too few and far between. When deciding the frequency of the emails you send, consider the following questions. How many promotional newsletters would be best to send to your customers per month? Are you going to send new collections or announcements about sales only? Which other types of emails would it make sense to send your customers? Do you want to do a single welcome email or a series of them? What about cart recovery and reactivation emails? Plan the entire chain of email communication with a given customer, and remember to explore the email marketing tools that your service provider has for setting up the frequency with which a customer receives emails from you. To avoid having your customers lose interest, we do recommend sending a newsletter more than once per month. According to the Direct Marketing Association, most companies send promotional email campaigns 2-3 times per month. To fully take advantage of email marketing, however, you should still be conservative with how frequently you send your campaigns. If you create campaigns where emails are sent every day, for example, this might cause your unsubscribe rate to increase. I’d suggest starting with bi-weekly newsletter campaigns, in combination with other email campaigns where you send out emails based on special occasions, which could include Thanksgiving Day, Black Friday, July 4th, or Valentine’s Day. These campaigns usually work better than sending generic promotional emails periodically. People tend to spend their money at holidays, so use those days wisely, and plan your campaign in advance. Here’s a retail calendar for 2017; use it for your planning. To summarize, consistent email communication empowers you to build strong relationships with your audience, but it’s important to strike the right balance when it comes to the frequency of the emails you send in your campaign. Include relationship building as part of your email marketing strategy by seeking to make your customers feel like they’re getting to know your brand better with each email. Experimenting with subject lines is another crucial aspect of mastering the art of good email marketing strategy. The use of subject lines for promotional emails is one of the most controversial topics amongst email marketers. There are many different opinions out there about which ones work best. The truth is, however, that there is no unique formula for making the perfect subject line and every brand has to find its own way to be noticed in their customers’ inboxes. Keep the subject line to under 50 characters. Try to be funny, enticing, or generous. Occasional use of emojis is fine, but don’t overdo it. Read this article to find out more about emojis meaning. Include a time limit or discount. Don’t use caps lock in your subject line. Don’t use a lot of exclamation points, either. Always use a preheader, the line that recipients see just after the subject line. The rest depends on timing and luck. Try out different email marketing campaigns, and you’ll get a better understanding of how everything works after some trial and error. In this section of the email cheat sheet, we’ll look at the importance of a good call-to-action (CTA) button. People rarely read the entire content of an email. They tend to quickly skim the text and click on the big, bright button. The most important part of the newsletter, and of your email marketing campaigns in general, is your CTA button. Your promotional emails are a part of your brand identity, so email design should correspond to your brand colors. Don’t forget to use your logo! Keep your design simple with a clear CTA button. Do not use too much text. This is not the place for an essay with hundreds of words. Even if you have lots of great products for sale, feature only those that are relevant to your subscribers. Make it simple to skim. Group information with clear bold section headings, have easily digestible paragraphs that use bullet points, etc. Think about the best email fonts. If your font is too small or too fancy, and the color doesn’t stand out from the background, your subscribers won’t be able to read your newsletter. Leave enough empty space so that the key aspects of your email stand out. White space improves the readability of the text and highlights other newsletter elements. Pick relevant designs for the topic and high quality pictures. Trust me, they play a big part in helping you engage with your audience. Usually, email editors provide ready-made, customizable email templates. Because the templates take care of the technical side of things for you, they are a big help, especially for beginners. In this section of our email marketing guide, we’ll look how you can add interactive elements to your emails. To maintain your audience’s interest, use these in your email marketing strategy. Nowadays, technology allows you to send videos, animated GIFS, and more right inside the body of the email. These extra details bring spectacular results. For instance, email marketers claim that after embedding a video into emails, the click-through rate increases by 55% and the conversion rate increases by 24%. Send a welcome email or series of emails to new subscribers.These emails earn 9x more money than promotional newsletters, and they turn your subscribers into customers. 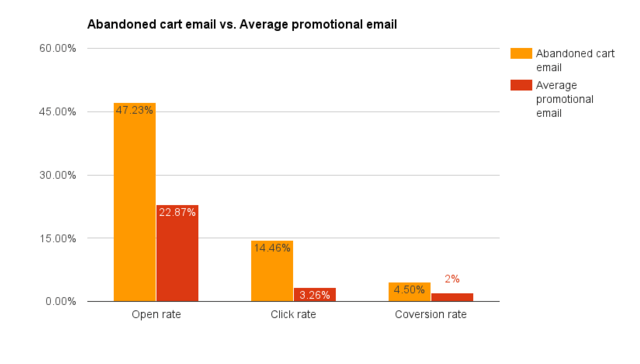 At this point, 74.4% of customers actually claim they expect to receive a welcome email. Don’t let them down. 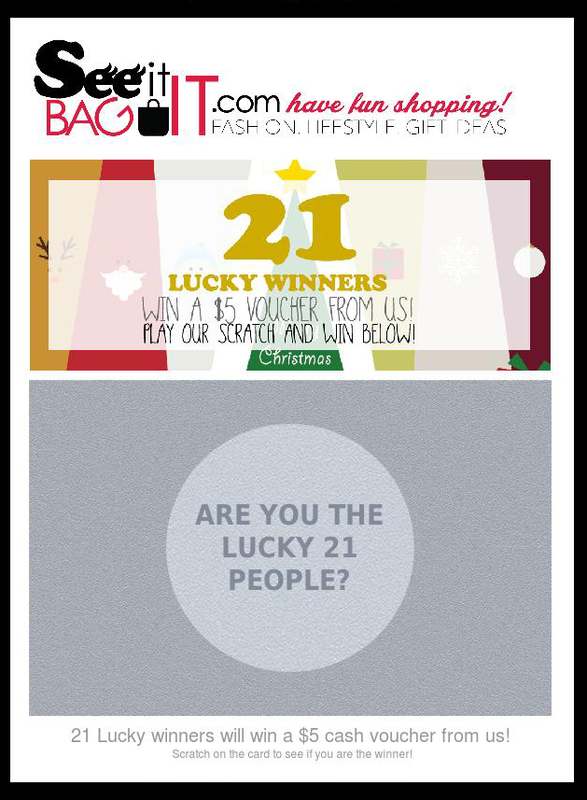 In this email, show your appreciation for their interest in your store, and offer a discount for their first purchase. See here for more welcome email ideas. Send an abandoned cart email or series of emails. These are highly personalized emails that are sent automatically after a customer abandons his or her shopping cart. This email includes the abandoned items with images, prices and descriptions. Abandoned cart emails hold great potential for recovering lost revenue so this automated workflow can truly be invaluable! Check these examples of successful abandoned cart emails for some inspiration. Send a follow-up email after a purchase. These ones are great for inviting customers to connect on social media, offering a discount on a next purchase, sending upsell recommendations, etc. Be creative. The final email marketing tip you should know about has to do with tracking the results of your campaigns. After you’ve launched your campaign, monitoring what works and what doesn’t opens the gates to improvements and better rates. Click Map enriches delivery reports with a visual view of the clicks on your newsletter. You can easily see which products, images, and CTA buttons were clicked most. Always pay attention to reports when trying email marketing tools. Generating sales reports and click maps from each email campaign will help you learn more quickly and understand what works for your customers. In this cheat sheet for ecommerce email marketing for beginners, you learned the advantages of email marketing along with plenty of email marketing tips for taking your campaigns to the next level. By integrating this information into your email marketing strategy, you will already have a leg up on your competition. To summarize some of the key points from this article, remember to put some extra thought into your CTA buttons and subject lines. Be sure not to clutter the email with too much text, and be strategic about the frequency with which you appear in your customers’ inboxes. Using an email service provider will help you keep all this stuff straight whilst also providing you with some great templates for busting out killer email campaigns. What’s more, is that they will help to synthesize data about how well your campaigns are performing. Take special note of things like open, click, bounce, and unsubscribe rates when trying to make sense of a campaign’s performance. Now that you’ve finished reading this guide you have the email marketing tools you need to start experimenting. After all, the best way to learn anything in ecommerce is by doing. Rest assured that email marketing will offer you one of the best ROIs of any channel, so you don’t have a ton to lose as you try out different email marketing strategies. If you find that you have more specific questions after you start, note that there are endless lists compiled with all kinds of email marketing tips available online, including on our blog. All these helpful resources combined with a bit of determination and creativity, you’re already poised for success.